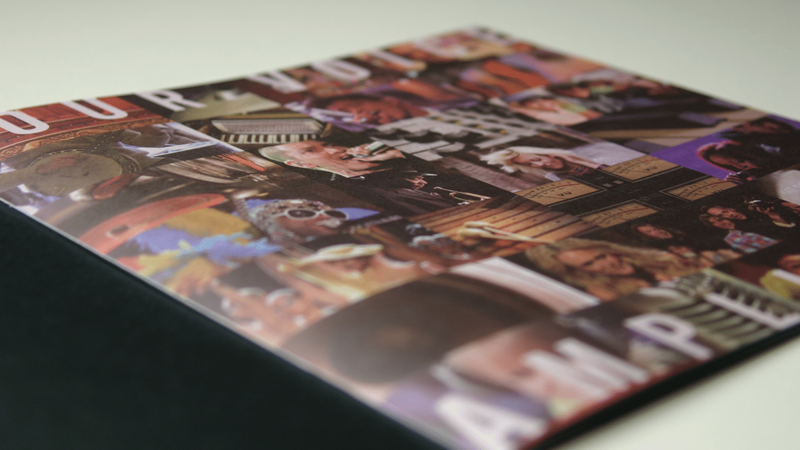 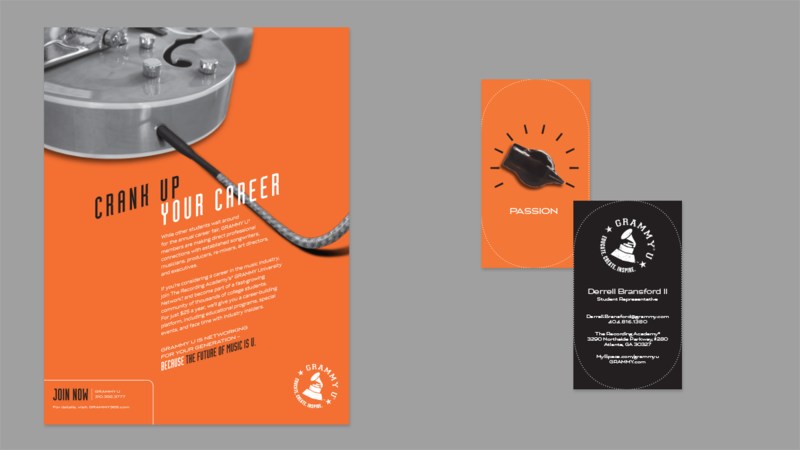 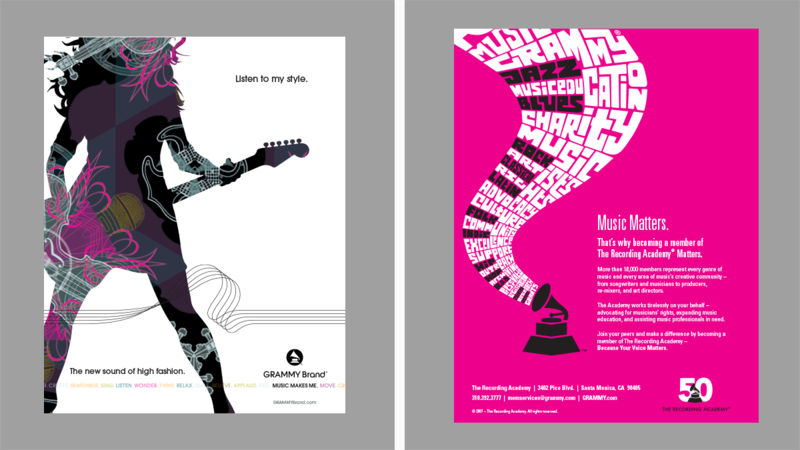 inferno has created many high-profile pieces for The Recording Academy® (the GRAMMY® organization), including brochures, print ads, interactive tactics, poster templates, and premium printed packaging. 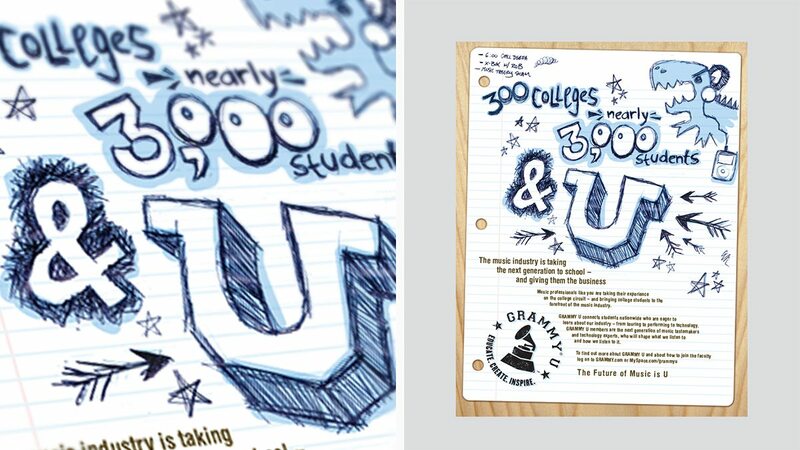 These projects have spanned diverse audiences, from record producers to college students. 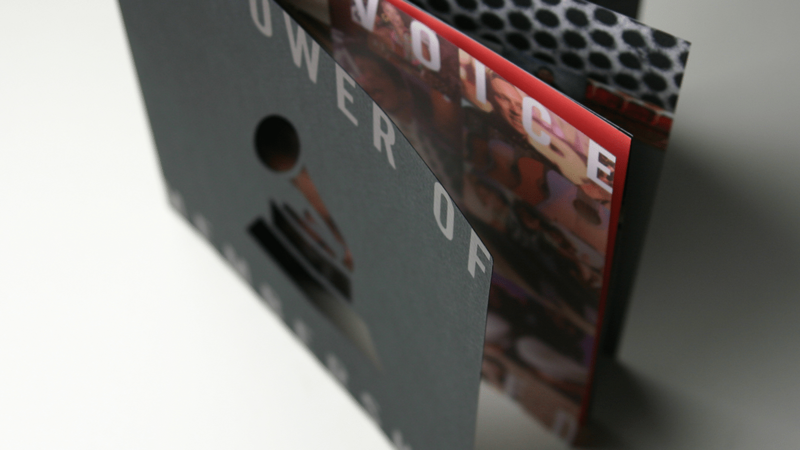 Our work has helped emphasize a strong sense of community in the recording industry and highlight the prestige of this world-renowned music organization. 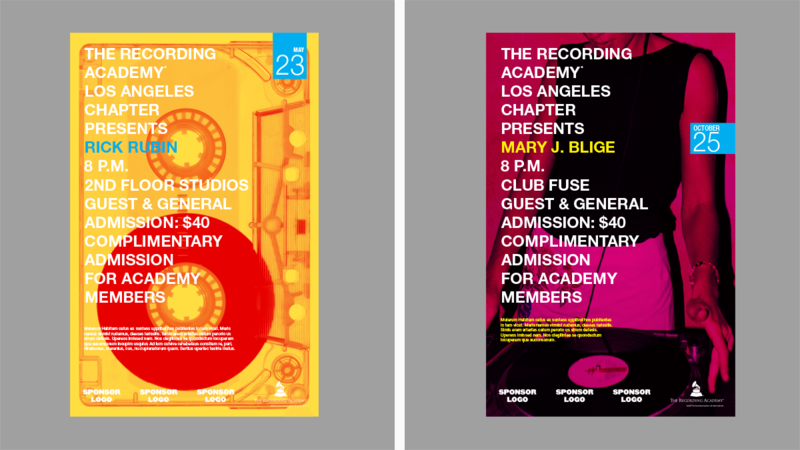 Members of The Recording Academy are part of a rich, eclectic legacy. 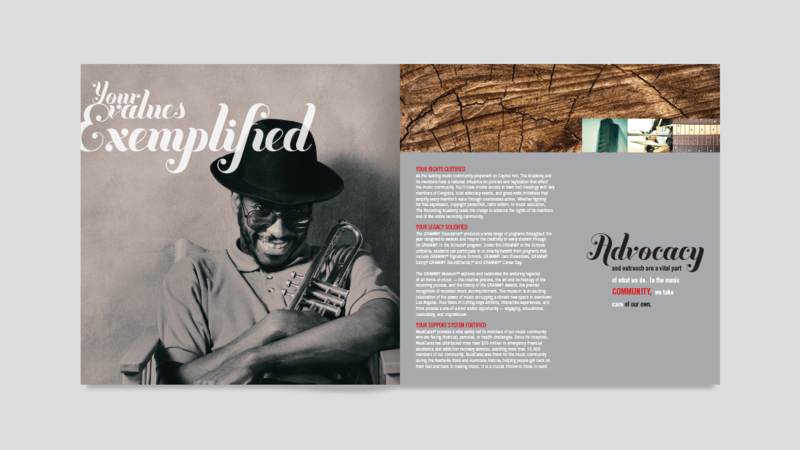 And we created this brochure to capture the spirit of that history and introduce new members to the organization. 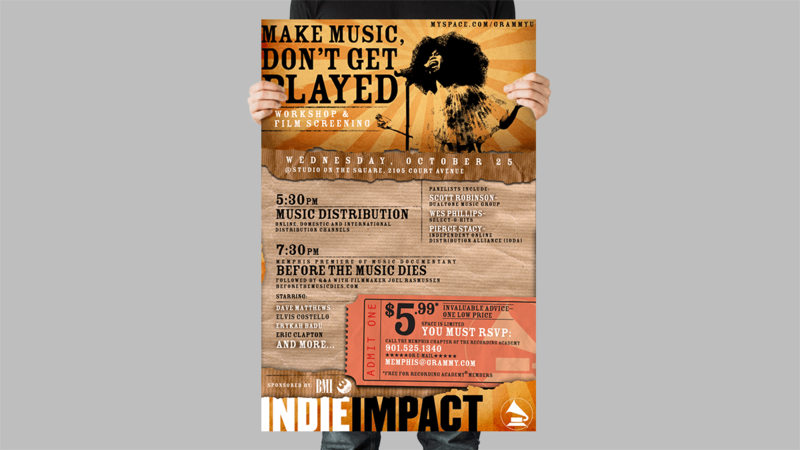 When The Recording Academy needed posters for an event to help up-and-coming musicians, we provided an indie feel to reflect the passion of making music.